SOLA students are invited to deepen relationships with our animal companions, through their daily care, grooming and feeding. During our academic classes, we often utilize outdoor classroom spaces, and learn alongside horses, sheep, longhorn cattle, chickens, dogs, cats, and amazing wildlife! SOLA students also have many opportunities to engage their animal relationships in a deeper way, through natural horsemanship classes, animal arts electives, and internships that include trail riding, farm animal stewardship, and much more. Our on-site holistic horse barn, Liminal Equus, offers riding and groundwork lessons, internships, horse-back yoga, trail riding and more. The School of Living Arts campus is blessed with natural abundance, and hosts peach and apple orchards, springs, creeks, pastures, and a working farm. Students learn about regenerative land stewardship through their participation in biodynamic agriculture, the practice of leave-no-trace and permaculture principals, and gardening. 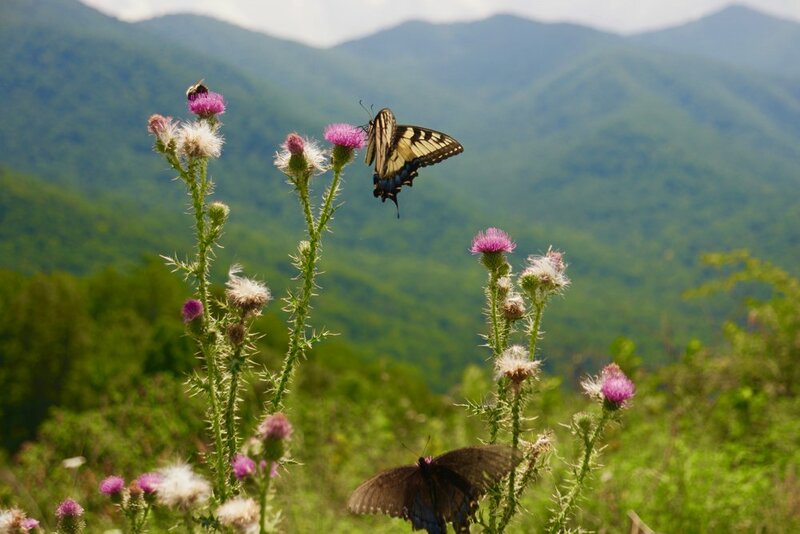 Our campus is also surrounded by Pisgah National Forest. This expansive 'natural classroom' hosts rare plants, rushing creeks, pristine forests, abundant wildlife, and stunning natural beauty that invites students into their 'native wildness', and a profound experience of the natural world.